Lhasa sits at 12000 feet elevation on a high plateau, not really mountanous at all, and not really surrounded by mountains. Mountains in the distance yes, but not near the city. 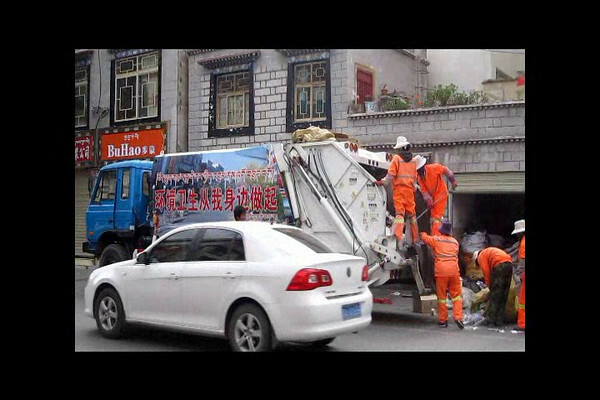 Highlights include watching the monks debate at the monestary, and the "happy birthday to you" tune on the trash truck to let people know it is time to bring out the trash.